Everest Base Camp Trek In June | Weather | Packing List | Why Trek in June? 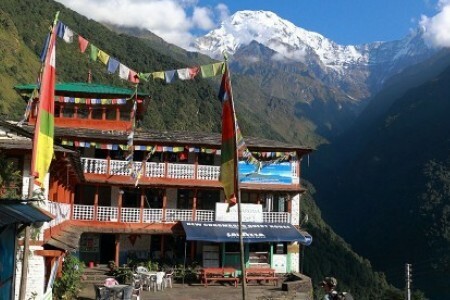 Everest region trek is the most rewarding experience in Nepal. The Everest Base Camp trek is possible in all seasons. But the trekking experiences and difficulty levels are different at different times. The Everest Base camp trek in June is challenging, yet amazing. You get to explore the Khumbu region and the amazing Sherpa settlements. You will also see lots of summer settlements at the grasslands. The green pastures with Yaks and Himalayan goats make a perfect photograph. Everest Base Camp Trek is the trek for a lifetime. June can be quite tricky because of the monsoon rain. But you can conquer the adventures with adequate plannings, preparation, and extra care. Prepare well! If you want to do this trek, we can arrange a perfect trek for you. We can also arrange for the guides and porters. Please feel free to Contact Us for a safe and comfortable trek. Note: We also organize Everest heli tour and Mountain flight to Everest. These are alternate tours for visiting the Everest Base Camp without having to trek. Contact Us if you have an interest in any. A short and scenic flight from and to Lukla. Sagarmatha National Park, a natural UNESCO World Heritage Site. Beautiful Sherpa settlements at Namche Bazaar, Tengboche, Dingboche, Pheriche, etc. The Everest Base Camp itself. The unique culture and lifestyle of the Himalayan Sherpa people. Lush green forests, flora, and fauna en route are refreshing. The trails are clean and beautiful. Kala Patthar, the best vantage point of Mount Everest. Spectacular views of the Khumbu Glacier, one of the world’s highest glaciers. Astonishing views of Mt. Everest, Mt. Lhotse, Mt. Nuptse, Mt. Pumori on clear days. Ancient Buddhist monasteries including Tengboche Monastery. Numerous Chortens, Mani walls, and prayer flags en route. June falls between the tail of spring and the beginning of the Summer season at the Everest base camp. The weather in EBC in June is colder and drier than in the lower elevations of the trek. June is a calm month as compared to other months in Summer. The first half of June is warm. You will face occasional rains while trekking in EBC in early June. The weather is quite fair and is suitable for trekkers. The region experiences occasional rainfall but not the heavy downpours. As the time traverses towards the second half of June, Monsoon season starts. You will meet with downpours, almost every day. You might encounter with violent thunderstorm and lightning sometimes. In the Everest region, it doesn’t rain the whole day. In general, the rain starts in the late evening and continues throughout the whole night. The mornings after rainfalls are fresh, clear with clean and green surroundings. The sky begins to clear up displaying spectacular Himalayan vistas. Days are bright with good sunshine. You will feel longer days with 12- 13 hours of daylight in June. The daytime temperature can range from 12 to 20 degrees. You might get sweaty during the day hikes. You need to wear sweat absorbent clothing. Nights are colder than the days. Almost every night in late June is rainy. The nighttime temperature can vary between 1 to 7 degrees in June. For nights, get a zero degree sleeping bag. Ask for a warm blanket because rainy mornings are chilly. Note: The weather and temperature may vary drastically in June. Make sure you do adequate researches on the prevailing weather conditions. 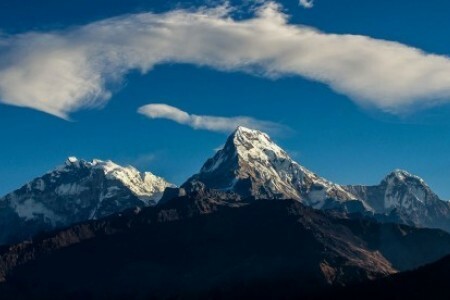 Know about the weather changing patterns in the Everest region before you go. Almost all the tea houses en route remain open in June. Early booking for accommodations is not necessary for June. But if you book the tea houses earlier, you might get huge discounts during June. Because of the less traffics in teahouses, you can ask them to prepare you some local delicacies. Unlike in the peak seasons, you won’t have to stand in queues for foods in June. You can eat at any time. There is no need to wait for your turn. For drinks, you can drink some hot drinks offered at the teahouses. You can have hot water and tea. Drinking alcohol during the trek is strictly prohibited. Alcohol dehydrates your body which ultimately increases the risk of altitude sickness. You can carry some energy drinks. Take your own refillable water bottles. Use water purifiers before you drink water directly from taps, springs, or rivers. Why Everest Base Camp Trek In June? During your Everest base camp trek in June, you will see a few crowds in the trail. If you are someone who loves peaceful trekking environments, June is a perfect time for you. There will be fewer distractions. You will feel more close to nature. June is the monsoon time. The rain settles down all the dust and impurities in the atmosphere. Thus, the atmosphere becomes pristine. Especially, the fresh mornings after rainfalls are lovely. You will see the enchanting views of the Himalayas and the surrounding landscapes. Also, monsoon is the time when the vegetation grows thick and green. Walking through the lush jungles with huge bushes is a unique feeling. If you are someone who keeps interest in plants, you will love the EBC trek in June. Trekking over the wet and slippery monsoon trail is adventurous. The Everest base camp trek in Monsoon is an adventurous experience. The wet steep rocks, sharp climbs over the moraines are thrilling. If you are an adventure lover, you must go for the Everest base camp trek in June. Most of the tea houses provide discounts on accommodation and food in June. Also, they might provide some special monsoon offers. You will also get discounts on flights. Do not hesitate to ask for free hot showers during your EBC trek in June. Everest Base Camp Trek With or Without a Guide? We advise you to hire an experienced professional guide for your Everest base camp trek in June. Weather and climatic conditions in June can vary frequently in June. You might have difficulty in trekking at such times. Trekking with a guide means you are in safe hands. An experienced guide will take you through comfortable and safe paths. S/he will help you in any difficult situations that may come along. Also, there are fewer chances of getting lost while trekking with a guide. Trekking to EBC without a guide is possible in June. But trekking with a guide ensures your safety. They will keep you away from difficulties and risks. They will be your companion in every step. There are various places on the trek with risks of landslides and avalanches. During June (monsoon), the risks of landslides and mudslides are high in these areas. You must be extra careful while walking through such places. At some places, the excess water from streaming waterfalls flows over the trail. You must get your shoes off at such places. By June the summer bugs like mosquitoes and leeches are highly active on the trail. While trekking through the forested areas, you are more likely to get leech bites. Wear full sleeve tops and long pants. You can also buy a pair of leech socks. Carry insect repellants. You can carry some table salt for the leeches. The weather and temperature in June can change anytime. Dark clouds can hover around the blue sky in no time. It can rain anytime as it is Monsoon. Walking under the monsoon rain is difficult sometimes. Sometimes in June, it can rain continuously for days. If that happens, the Lukla flights to and from Kathmandu may get canceled often due to the bad weather. Sometimes there can be flight delays or cancellations due to bad weather. In case of heavy thunderstorms and lightenings, the authorities will not allow you to trek further. They might stop you on the trails for your safety. Everest base camp trek is a high altitude trek. There is always the risk of altitude sickness during this trek. Make sure you watch out for the symptoms. Do not try to overdo. Walk slowly. Take your time to trek. June is the time of monsoon in Nepal. It might rain at any time in June. The trekking trails might get wet, slippery, and tough. Thus, you must be extra careful while trekking in the Everest Base Camp in June. You will need special monsoon gears and lots of other preparations. Carry a breathable rain gear. Wear waterproof hiking shoes. The shoes must be comfortable and should have soles with grips. Temperatures in days are hot. You might get sweaty while walking in the daytime. So, wear clothes in layers. Wear lightweight cotton clothes during day hikes. Make sure your underwear is sweat absorbent. This will prevent rashes. If you are hiring a porter, make sure you keep the rain jackets and backpack cover with you. You might need them anytime in case of sudden rainfall. Carrying a trekking pole is the must. It will assist you in walking over the wet and slippery mountainous trails. We recommend you to hire a porter. The EBC trail is quite difficult in June due to monsoon rain. Trekking while carrying your things throughout the trek can be more difficult. Trek with a professional trekking guide. You will get proper guidance and information about the trek route. This will make your trek easier. Be aware of the symptoms of altitude sickness while trekking. You should never ignore the symptoms. Do not hesitate to talk to your guide or your travel companions. Take the measures of precautions as soon as possible. What to Pack for Everest Base Camp Trek in June? Keep in Mind! Pack light, Pack wise. Include all the essentials. Try to avoid taking unnecessary things. You can make a list of things that you might need before you do actual packing. A Basic First Aid Kit with medicines for Altitude Sickness, Diarrhoea, and cold. Trekking to Everest Base Camp in June is full of adventure and fun. June is an off-season to trek in the Everest region. But you can do this amazing trek with proper preparations. Make sure you pack the right trekking gear. 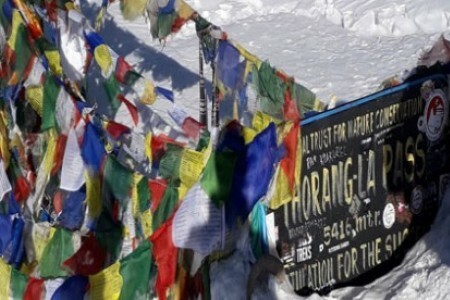 Do you have any queries related to the Everest Base Camp Trek? If yes, you can Contact Us.